Selling your car in Adelaide? While you’re getting ready to welcome a new vehicle into your life, take note of a few of these local drives you can look forward to exploring. For those of you that relish in local comforts, there is a lovely drive 30 minutes East of the city centre through the Adelaide Hills. The drive is a satisfying loop that begins on the stretch from Heysen Tunnels to Crafers. It’s not a lengthy trip so you’ve got time to stop anywhere you please. Strawberry picking in Hahndorf on the Adelaide Hills drive. You can leave it up to intuitive navigation, otherwise a good place to start is Mount Lofty where you can drive up to the summit for the classic city views or check out Cleveland Wildlife Park, especially if you’ve got kids in the back seat. Next up, drive by Marble Hill Ruins then head down the scenic Gorge Road, following alongside the Torrens River. When you get to Cudlee Creek you can visit Gorge Wildlife Park, which tops the first stop and includes 14 acres of bushland with wild animals and birds. Pick up picnic supplies in Woodside where they handcraft cheese and chocolate. 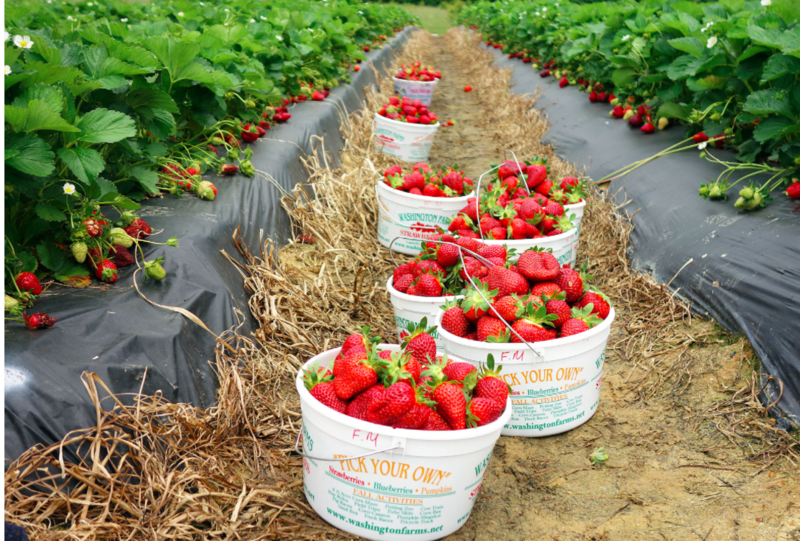 From October through May it’s a good idea to stop in Hahndorf and pick your own bucket of strawberries to munch on while you walk through the Rose Gardens. From there it’s a 30 minute trip and you’re back in the city. For locals and tourists, you can’t really have a day trip in Adelaide that doesn’t include the Barossa Valley. It’s an hour trip from the city and it’s the jewel of South Australia’s wine region. There are 13,256 hectares of vineyards and you can wine-taste your way through; the Shiraz is especially renowned to the area. 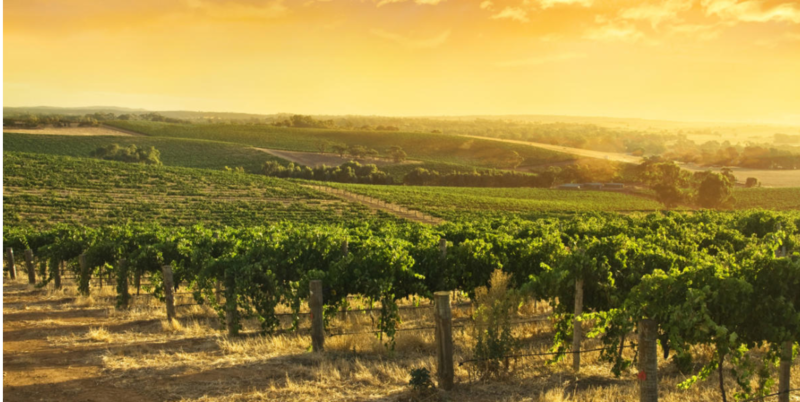 You can choose between the sunny rolling hills on the Barossa Scenic Heritage Drive or turn onto Seppeltsfield Road to check out the long stretches of wineries, and restaurants serving locally sourced cuisine. If you pack a few glasses you can buy your own bottle and head up Mengler Hill to watch the sun go down on the city. Driving on the Barossa Scenic Heritage Drive. You can still get wine and wildlife in the Fleurieu Peninsula but instead of wineries and rolling hills, you’ll drive alongside rugged cliffs with roadside food stalls selling seasonal produce. You’ll find small beaches between valleys or long white-sand stretches that offer year round water recreation for the active type. After surfing, scuba diving, swimming, and fishing you can head inland to the temperate climate of the central highlands with waterways and ranges to explore. There are more than 100 wineries in the peninsula and many serve local cuisine so you can easily fill an entire day or weekend leisurely tasting and nibbling between ocean swims. Second Valley Beach of the Fleurieu Peninsula. A quieter approach to coastal adventure is a trip to the lagoon ecosystem of the Coorong National Park 156 kilometres southeast of Adelaide. The Coorong is a protected area home to the Ngarrindjeri people with several archaeological sights. Between Encounter and Lacepede Bay runs a beach that is uninterrupted for 200 kilometres save for the opening where the Murray River meets the sea. This Southern Ocean coast is also bordered by the sand hills of the Younghusband Peninsula, a site visited by 240 species of native birds who travel from Japan, Alaska, and even Siberia. The isolated salt and carbonate lakes are also grounds for wild ducks, ibis and giant pelicans. If you’re in a four-wheel-drive you can cruise right along the edge of the ocean until you find a peaceful place to spend the afternoon. 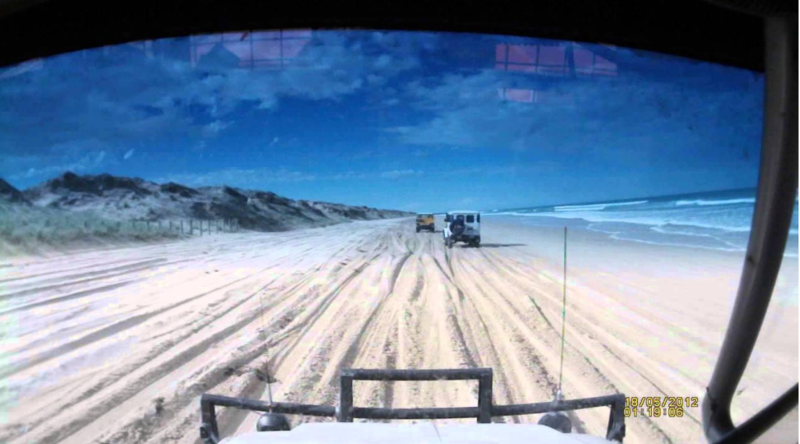 Four-wheel-drive sand tracks in Coorong National Park. If you’re looking for a long journey or planning on moving intra-state, you can find drives in your new home at https://www.areyouselling.com.au/sell-my-car/melbourne/, https://www.areyouselling.com.au/sell-my-car/sydney/, or https://www.areyouselling.com.au/sell-my-car/brisbane/.